I'll be honest. Compared to full-time web design shops, my portfolio is modest. But I believe the quality of work speaks for itself. My customers like what I have done for them, and so do their site visitors. See the Customer Testimonials page to view comments from my customers. Thanks to Project Seven for their Lightshow Magic widget. Click any thumbnail image to launch the slide show. In the slide show, clicking the image takes you to the actual site. 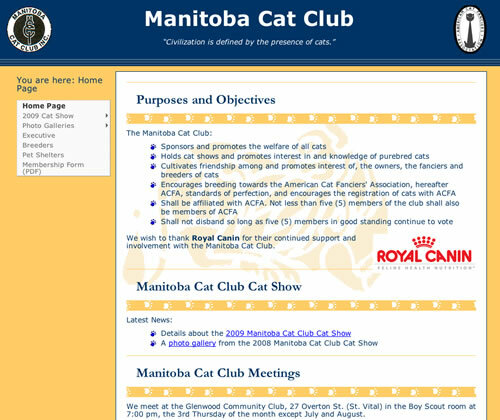 This web site was my first professional project in 1996. 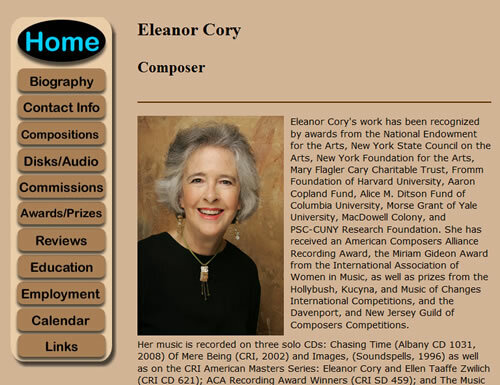 The design has changed over the years, and now most pages of this very large web site is coded in a css-driven layout. 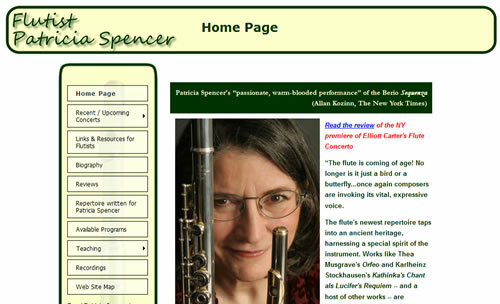 My newest customer's site is a make-over of a long-running site. The new version improves on the previous site's usability by replacing HTML frames with a fixed-position div that mimics the functionality of the old frameset, keeping the navigation menu visible when users scroll down in page content. 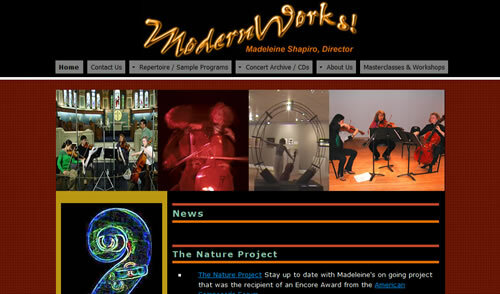 This site went live on the web before we ever worked on it. 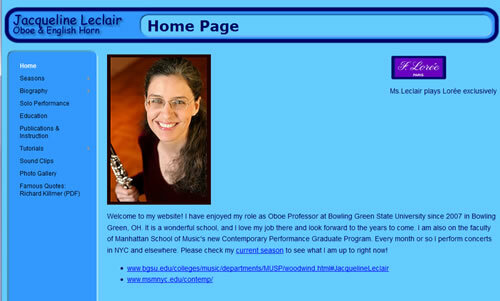 Dr. Leclair's former webmaster disappeared, and she came to us in the fall of 2003. 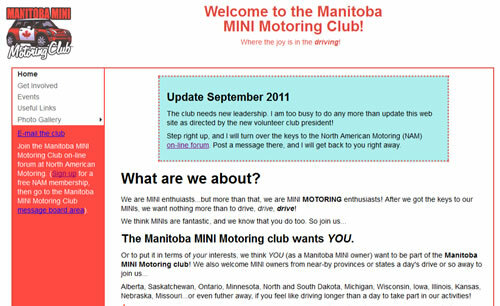 In the late summer of 2007, we upgraded the site to use a pure css-driven layout and text-based navigation. Accordingly, the download time for this site's pages is half of what it was with the bloat of all those NetObjects Fusion Navigation button graphics. 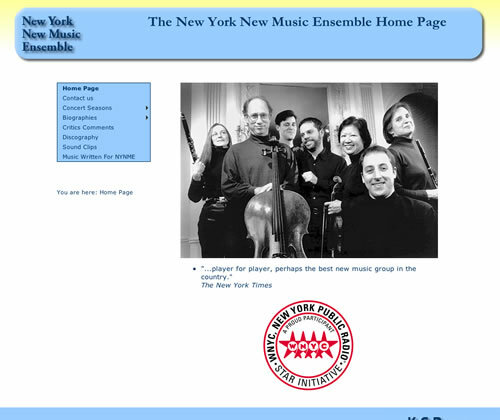 This site first went live on the web in 2001. 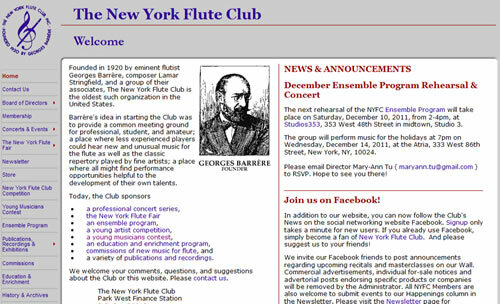 The site owners decided they needed to have a local web firm in early 2012, so the site may soon no longer look like this screen shot. I maintain this link as a courtesy to a good former customer. I built this site in 2003, and the site owners decided they needed a local webmaster in 2009. I present it here as another sample of my work, and give you a link to the new site as a courtesy to a good former customer. 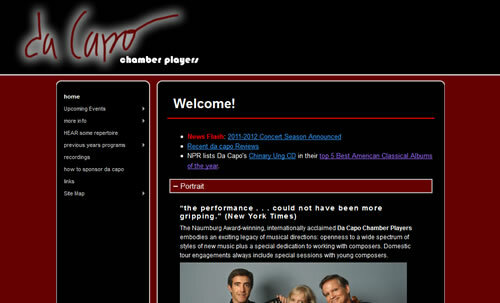 This is the web site of a jewel in Winnipeg's musical crown. 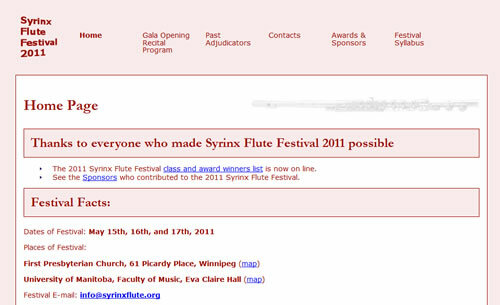 This web site features an on-line database that allows students to enter the festival on line and the site administrators to publish the festival schedule directly from the database of entries. This saves untold hours of work every year when the festival is approaching.